My blog is currently not speaking to me. The reason? Apparently it was its fourth birthday yesterday and I managed to forget about it. Or rather, I didn't make a birthday post on the right day. I think it's a bit sensitive but I better not push the issue too much, you never know what a spurned and pissed-off blog can come up with. So, four years of blogging? Looking back at the start I think and hope that both me and the blog have improved over the years. Hopefully you as readers have also enjoyed the ride and might even be looking forward to some more? As for the 'great haul'...As I might have milked a tad bit, Knorr invited me along to meet Marco Pierre White some time ago. A following on to that is that I will get early access to new recipes from MPW during the year. 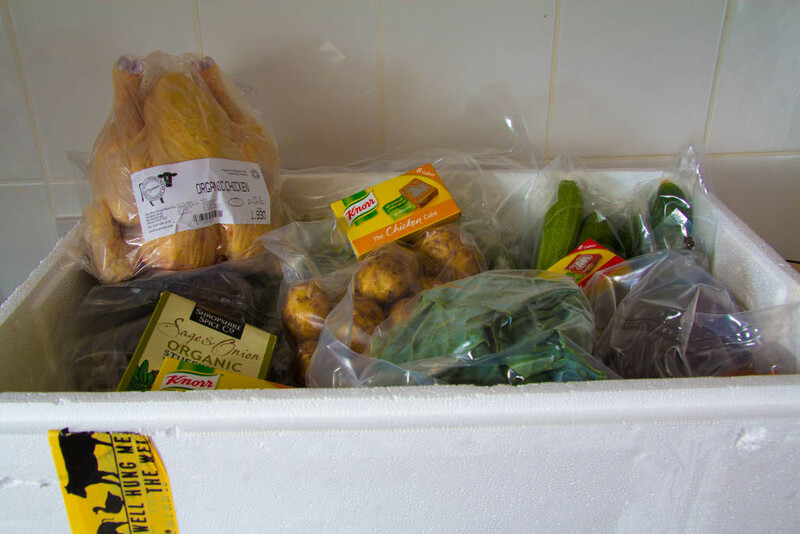 I am also lucky enough to receive a couple of produce boxes through the year so I can try out these recipes and blog them for you. In the first box I had some stock cubes, funnily enough ;), some (mostly) great organic meat from the Well Hung Meat Company as well as some excellent organic veg from Rod and Ben's. In the coming weeks I will be posting recipes where I've used ingredients from this box so please hang in there. Congratulations on the anniversary ! I thoroughly enjoy reading your blog with new interesting meals, rants, funny stories etc. Keep 'em coming ! Stort grattis! Både till dig, och till bloggen ;-). Spännnande med recepten och lådorna. Det ser jag fram emot att läsa om!